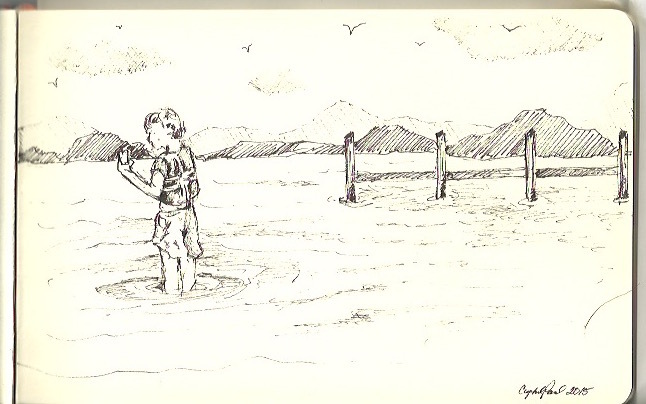 Here is a quick sketch I did last week while my boys were playing on the beach. This little boy was drinking from the coveted juice box while standing in the water. He moved quickly, so this was a little challenging to capture him. It was a really hot and sunny day, and the beach was packed, which is to say stuffed since our beach is uber tiny. This sketch was done in my moleskin sketchbook with a Micron #3 black ink pen. Enjoy!